Great flavor! I bought it to replicate a lavender latte I had a few weeks ago and it's spot on. I also like the recipe ideas printed on the bottle. Will definitely be buying this again and checking out everything else you guys have to offer. Thank you! 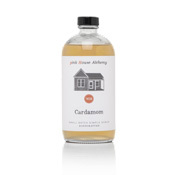 Sweet and aromatic.... a delicate, versatile syrup. 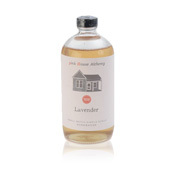 Handcrafted in small batches from aromatic lavender, this delicate syrup beautifully sweetens iced tea or lemonade and adds a hint of herbal flavor to sorbets, shortbread, and poached pears. Roasted chicken with lavender syrup will have you thinking about this ordinary bird in a whole new way. 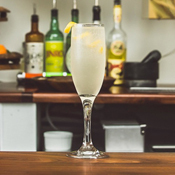 And in the bar, its' subtle flavor pairs beautifully with champagne and sparkling wine.